Do you have a question about dry eye? Read below to learn from the best questions submitted by site visitors. Q: I have worn soft lenses for 20 years, taking them out at night. Things are fine, except that after long flights (10 hours plus) I sometimes experience uncontrollable burning in my eyes. It is excruciating. This sometimes happens while I am wearing the contact lenses, and sometimes after I have been wearing my glasses on the flight for some hours, and put my lenses back in before landing. The only solution is to take my lenses out as soon as possible. I can't find references to this problem online. — M.
A: As a very frequent flyer I can attest to how eye-unfriendly aircraft cabins are. Although it's better in newer planes, recirculated air and very low humidity can wreak havoc on the tear film and eye surface. Most people do okay, even on long flights, but add in contact lenses — which can help evaporate tears more quickly — and what I suspect is borderline evaporative dry eye, and you can end up with significant disturbance to the cornea. Pain, burning, tearing and light sensitivity are all symptoms of concern, as they suggest damage or irritation to the eyes' surface. Without examining you, I can't be sure, but I suspect the root cause is meibomian gland dysfunction (MGD) causing evaporative dry eye. Wearing a conventional lens will worsen this, and if the problem is significant enough to occur without lenses, putting them in apparently pushes you over the edge. Get a thorough dry eye work-up and make sure you share your experience on the plane with the doctor. If you sleep on these flights (and with 10 hours in the air, I hope you do), have a flying companion check to see if you sleep with your eyes slightly cracked open. Exposure, especially in low-humidity environments, could explain your sudden and intense pain. Try to avoid wearing your lenses on the plane, especially for long flights. Use a dry eye drop with a lipid base, like Systane Balance or Refresh Optive Advanced Formula, at least once an hour during the flight. Note this isn't recommended while wearing contact lenses. If you must wear lenses in the air, you might consider trying a single-use daily disposable. From a dryness perspective, Alcon's Dailies Total One is the class leader. Q: What are the causes of dry eyes? How does eye twitching relate to dry eyes? — E.
A: There are so many causes for dry eye that even a brief answer is well beyond the limitations of this forum. 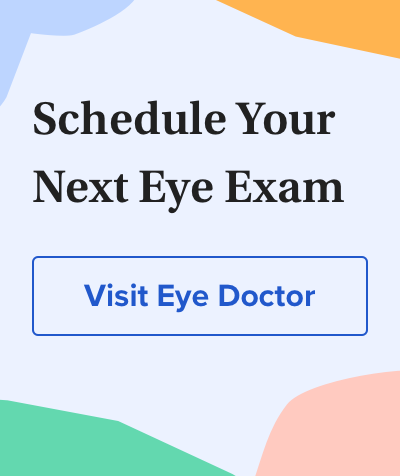 I urge you to read the section on dry eye on this website and the other questions and answers on this page to get a better understanding of the condition. Q: Last summer my eyes began randomly burning, stinging and watering at times, from the inner corners. I went to an eye doctor, who said I had dry eyes. I tried all kinds of drops and also taking krill oil supplements, but nothing helped. When it became winter, my symptoms completely vanished. I had no more eye problems at all. Now that it is beginning to warm up again though, they are starting to cause me trouble. What's more, I noticed when I opened the oven to check on a cake tonight, the heat from it stung my eyes and I couldn't keep them open. This is a huge issue that is seriously affecting my life, as when it was summer, I literally had to pull over while driving almost every day because my eyes would tear up so bad. — L.
A: I know how frustrating this can be. Your symptoms sound like dry eye, but they are a bit unusual, and without examining you, it's hard to say for sure. In most places, dry eye usually gets better in the summer as humidity increases and worsens in the winter as indoor heating dries the air. Allergens usually increase in the summer and fall way off in the winter, but itching is usually the most frequent sign of allergy. Your experience with the oven suggests evaporative dry eye, which is usually caused by meibomian gland dysfunction. Swim goggles help protect eyes from harmful microorganisms and irritation from pool chemicals. Q: Why are my eyes so dry after being in the pool? Is there any inexpensive in-home remedy? I am seeing double, and it is really irritating. — L.
A: Pool water usually contains chemicals that are quite harsh. These additives reduce growth of a variety of organisms but are often irritating to the sensitive tissues of the eye. Q: I was in a car accident a number of years ago, with some fairly serious head injuries (like permanent blindness in one eye). It also left me with constantly dry eyes. But my eyes now will drip tears whenever I am sweating! Is this a known condition? Is there any treatment for the dryness? (The tears don't bother me.) — S.F. A: Sorry to hear of your accident. Losing sight in one eye is terrible. Over the years I've dealt with many patients who have, and with some additional care they usually do fine. Going forward, you need to be extra careful to protect the remaining seeing eye — that includes regular eye exams. Tearing is common in patients with dry eye, but from your description, I suspect you sustained nerve damage from the accident. That can contribute to dry eye, but in your case, as your nerves healed, some of the connections got crossed, and now what causes you to sweat also causes tearing. Although it may sound weird, it isn't as uncommon as it sounds. The body will do whatever it can to heal, even if it means using existing "wiring" to repair damage. This should be evaluated, but if it is, as I suspect, due to aberrant regeneration of nerves and you are not disturbed by the tearing, no treatment is needed. Q: I have severe dry eyes. Currently I live in a very dry climate, where it could get as low as 9 percent humidity with over 100-degree temperatures during the summer. My doctor told me that the film of tears that covers my eyes is very thin and evaporates quickly. I also keep getting blepharitis. I'm a retiree, so moving to another place is not a problem. I'm thinking of moving to a small town by the Gulf, if that would cure my dry eyes. It has low pollution, high humidity, very low elevation and fairly moderate temperatures during the winter. Would that help my situation? Also, which eye drops would be best for me? My doctor suggested Restasis, but it is extremely expensive. — A.J. A: I live in Phoenix, so I know exactly the kind of environment you now live in. In the hot, dry desert environment, tear evaporation is a major problem. You are fortunate to be able to move so easily. Most folks can't. The good news is that a move to an area with higher ambient humidity, lower elevation and low pollution should be helpful, but it may not completely alleviate your problems. How much it does depends on the health of your ocular surface and especially the health and function of the meibomian glands. These glands produce a complex oil with every blink that prevents evaporation and helps stabilize the tears. The best treatment for meibomian gland dysfunction (which from your description I assume you have) is LipiFlow, a procedure developed by TearScience, which clears and restores function to the glands. Regarding drops, the best contain oils that mimic meibomian gland secretions. These include Alcon's Systane Balance and Allergan's Refresh Optive Advanced Formula. FreshKote is an Rx product that may also be helpful. Q: I have had dry eyes for more than two months now. Out of those two months there was one week where my eyes were better but not normal. This happens often, and more during the winter months, but I feel that because they are dry for so long, there is a bigger problem than just temporary dry eyes. Could there be something seriously wrong with my eyes? — T.D. A: Dry eye is often a result of one or more protective systems that keep the eyes moist failing to work properly. Seasonal dryness seen during winter heating season or summer air-conditioning season, arid environments typical of the U.S. Southwest, or high altitudes as in Denver, are among the things that can stress ocular surface and tear systems, causing worsened dry eye symptoms. I suspect your "temporary" dry eye isn't really temporary, but just symptoms of dry eye breaking through. It's likely things will get worse over time, and your symptoms will become more frequent. Q: My eye care provider told me I have a bit of dryness in my eye, and the cause of it is that I spend about eight hours a day in front of a computer. I've reduced the time I spend before the computer, and the grittiness is gone. But I still feel dryness, but only a little bit. I'm 16 years old, which is too soon for me to have serious dry eye, but I don't know whether it's chronic or not. Is it possible that I can permanently heal my dry eye? — N.
A: The tears and ocular surface work together to keep the eye moist and to insure crisp vision. Dryness usually worsens with age, but it can occur in younger individuals in some cases. Computer use decreases the frequency of blinking, and that promotes evaporation of the tears. That can be either the cause or a factor that contributes to your symptoms. Q: I traveled to South Africa this past May. My total flight times were 25 hours going and 30 hours coming back. When I came back to the United States I started experiencing extremely dry eyes. A: As a fellow traveler who has spent many long hours on international flights, I understand just how eye-unfriendly aircraft cabins can be. In addition to being pressurized — usually to equivalent altitudes of 6,000-8,000 feet above sea level — the cabins also have very low ambient humidity, typically in the low teens, which can make an otherwise asymptomatic person quite uncomfortable. For most people, the effects of even a prolonged flight are transient and abate within an hour or two. In your case, I suspect you suffered from marginal dry eye to start with, which became apparent and symptomatic after the long flights. Without examining you, it is difficult to pin down an exact cause, but my impression is that your primary problem is evaporative dry eye, a condition almost always associated with meibomian gland dysfunction (MGD). Evaporative dry eye may be worsened by some brands of silicone hydrogel lenses, which can attract the lipid that normally serves as a moisture barrier. Lipid attracted to the surface of the lens can disrupt the moisture barrier and often results in worsening discomfort and reduced wearing time. To properly address your problem, I suggest you consult an eye care professional for a dry eye workup — especially looking at meibomian gland function. Your provider can also rule out other possible issues that can cause dry eye that may have coincidentally developed (thyroid problems, for example). If your issue is evaporative dry eye, treatment ranges from dry eye drops containing lipid supplements like Alcon's Systane Balance or Allergan's Refresh Optive Advanced, warm compresses and lid massage, to treatment of MGD with TearScience's LipiFlow system. From a contact lens perspective, be sure you're wearing a modern, wettable lens material and ask your eye care professional about the proper lens care system to use with your lenses. In my experience, patients suffering from dry eye often do better with daily disposable contact lenses. Q: Sometimes when I cry, tears won't come out of one of my eyes. Why does this happen? — S.
A: Sometimes a seemingly simple and straightforward question can be very difficult to answer. This is one of those times. An examiner would need to know your age, how recently this started, if there are any other symptoms or problems you've noticed, and if it always occurs in the same eye. Even with a careful history, proper diagnosis would require a thorough eye exam. Q: Why do my eyes well up in tears when I'm either reading a book or on the computer? — E.B. A: There are lots of possible reasons that your eyes tear excessively when you do close work. Decreased blink rate as you concentrate can reduce tear flow throughout the tear drainage system, which can cause tears to well up. More likely, an unstable tear film and deceased blinking will cause reflex tearing. Q: What causes burning and tearing eyes when wearing glasses? Can one become allergic to the material of the glasses? It usually happens when I wear glasses for a extended period. If I remove the glasses, the tearing and burning clear up shortly thereafter. — T.K. A: Allergy to eyeglasses, both metal and plastic, can occur, but it is nearly always contact allergy — that is, only in areas where frame materials touch the skin. I've never seen eyeglasses cause eye surface allergy or dry eye problems. In fact, it is usually the contrary. Most glasses provide some shielding or reduce drying or allergens getting into the eyes. The fit of the glasses may have some effect on tear drainage, which can be easily checked by your eye care provider, although this is unlikely. More likely, you have a problem with your eyeglass prescription. Over-correction, induced prism (due to improper lens centering or positioning) or other lens fabrication problems can cause significant eye strain, with symptoms you describe. Q: Which allergy medication can you take that won't affect dry eye? — P.P. A: Many oral allergy medications cause drying, so when possible I recommend that dry eye patients avoid them. However, most modern topical allergy drops have little impact on dry eye. Some may actually reduce some of the inflammation caused by any allergic reaction. Q: Recently I have been using Zaditen. I do have dry eye. Problem is, I can't stop using it. Every time I take myself off it, my eyes get scratchy and itchy. Here in Melbourne it is and has been a bad allergy/hayfever season. Am I at any health risk by constantly using Zaditen drops (in the vial)? — S.L. A: Zaditen, a brand name for ketotifen drops, is an antihistamine that is usually quite effective for treating eye allergies. It can cause some irritation upon instillation, but that is usually transient. I suspect the bad allergy season has gotten to your eyes, and the Zaditen is doing its job. Q: I'm 26 years old. In 2009, I went to urgent care because it hurt my eyes to have them closed, open — you name it. They said that I had an allergic reaction and it would clear up. Well it's 2013 now, and the dry eyes are just as bad. I get allergies where my eyes will stream tears all day and then remain like a desert. I don't take allergy medications because they don't work for me. I've seen four different eye doctors and one that told me to take doxycycline hyclate 50mg pills twice a day for two months. I followed the instructions to a "T." The irritated bumps and redness inside my eyelids seem to have gone away almost by 60 percent I'd say. I still have dry eye, and now that I've run out of insurance, I can't afford to go back to see my eye doctor. My dry eyes affect everything: my job, how long I can stare at computer screens, etc. I've done all the omega-3 you can imagine. What can someone like me do? My eyes are either streaming tears from allergies or dryer than the desert. I went to a place to get involved in a trial, and they said I had the lowest oil levels they'd ever seen — 38 and 36 in each eye. — A.R. A: I am really sorry to hear about your problems. They sound severe and disruptive. I am not sure you have allergies. Allergy is almost always associated with itching that you don't describe, and excessive tearing is a frequently seen symptom of dry eye. Irritation causes excessive tearing, which disrupts the balance of normal tears. You mention that you don't have insurance, so my usual advice, to consult an eye care provider with dry eye experience, may not work. From what you describe, it sounds like you have fairly advanced evaporative dry eye caused by meibomian gland dysfunction. This produces a lack of lipid and excessive tear evaporation and instability. LipiFlow, a breakthrough treatment by TearScience, is the most effective and long-lasting therapy for this condition, but it too is not covered by insurance. You may get some relief using warm compresses applied to the lids (very warm but not hot enough to burn the delicate skin of the lids), followed by massage of the lids. The technique should really be taught by a doctor, though. Q: My son is active in swimming and water polo. He frequently suffers severe eye irritation during and after water polo matches. Players aren't allowed to wear goggles. Symptoms are severe burning, itching, blurry vision and sensitivity to light. Are there any remedies? — R.W. A: Your son's symptoms suggest that he is sensitive and possibly allergic to something in the pool water. Severe burning, blurring and light sensitivity are symptoms typically caused by irritation of the cornea, which justifies your concern. I urge you to have your son examined by an eyecare professional. Q: Is it safe to have cataract surgery when dry eye syndrome is present? Can severe dry eye mimic cataracts? — M.T. A: In general, dry eye should be addressed before surgery. However, the best person to answer that question for you is the surgeon who will perform the cataract surgery. Q: I have severe dry eyes and am no longer able to wear contact lenses. I have punctual plugs (four). Am I a candidate for IOL implants? — J.M. Q: My wife recently had cataract surgery and now has dry eye. Is that common, and what can be done for it? — F.N. A: Dry eye is not infrequent after cataract surgery. It can be caused by the surgery itself, the medications used during or after surgery or sometimes just the emergence of dry eye that was going to become a problem eventually. In many cases, it will improve as the eye continues to heal. I suggest you have her start using a branded drop for dry eye like Alcon's Systane Ultra or AMO's Blink and give it a month or two. Q: I am a student of IT. Most of the time I have to be on a computer. While studying I often feel dryness in my eyes and sometimes a severe headache. My eyes feel like they need water. — G.
A: Your dryness is likely due to reduced blink rate, which is common with computer use. But your headaches may be caused by a problem with aiming or focusing your eyes. Both conditions can occur at the same time. Q: My eyes tear up every time I use a computer. Is that normal? — R.B. A: Excessive tearing while using the computer is not normal and may be a sign of irritation caused by dry eye. We have known for a long time that computer work decreases the blink rate. Decreased blinking can reduce the production of essential oils that stabilize the tears and prevent evaporation. This can cause dry eye symptoms, including excessive tearing. Q: I am a pharmacy student in Bangladesh, and I have problems with my eyes when I spend a long time in front of the computer. I feel better only when I close my eyes. My doctor suggested that I use povidone eye drops (10 mg). But the pharmaceutical company where I work is centrally air-conditioned. Could this be causing the problem with my eyes? It's so hard to study. What can I do? — S.S.
A: You are exactly correct. The combination of looking at the computer for prolonged periods of time along with central air conditioning can exacerbate dry eye. When people are using the computer, they have a reduced blink rate. So this results in the eyes staying open longer. When the central air is on — and the vents are blowing directly on you — this can lead to increased evaporation of tears. Q: My right eye burns if I spend a lot of time in front of a computer or reading. I drink a lot of caffeinated beverages during the day. I also have gout. Can the level of hydration affect my burning, itching eyes? Can gout affect my eyes? — J.H. A: I am not aware of gout affecting one's eyes. I suspect that, regardless of whether you have gout, the cause of your symptoms is related to the extensive time that you spend in front of the computer. There is a condition called computer vision syndrome (CVS), and one of its causes is that people fail to blink enough when working on the computer. This is very common and leads to ocular irritation and burning. Q: I wear contacts. When they get dry, I use artificial tear drops to relieve dryness and moisturize my eye while wearing the contacts. Is that okay to do? — A. A: You should have no problem using rewetting drops intended for use with contact lenses. But using preserved drops for dry eye and not designed for contact lens use may cause issues due to preservatives. Q: I've had dry eye for 30 years, and I am not able to wear contacts. Is there anything new on the market for this problem? — K.H. A: Contact lenses and dry eye often don't go well together. However, there have been some new developments that may help you wear lenses again. Q: I have dry eye. Can I still wear contact lenses? — U.P. A: Dry eye can make contact lens wear more difficult, but it is still possible to wear them with some cautions. First, your dry eye should be well controlled, and any underlying factors, like meibomian gland dysfunction, should be managed. Q: Is is safe to use color contact lenses if the eyes are already somewhat dry? Are there special daily soft lenses for this? — I.A. A: Contact lenses, colored or clear, should always be fitted and evaluated by an eye care professional. They should be able to determine your suitability for lens wear. Q: My "dry eyes" tear constantly. This causes my gas permeable contact lenses to fog, and I can't see clearly. Is there anything I can do? — P.M.
A: Excessive tearing is a common sign of dry eye. Tearing comes from tear film instability, often due to meibomian gland dysfunction. The excessive tearing is the eye's attempt to "fix the problem." Unfortunately, the tearing that occurs actually washes away the more normal tears that protect the eye. Deposits on GP lenses can be worsened under these conditions or can actually contribute to the problem if the fit has changed or the lens surface has degraded. Q: I have Hashimoto's thyroiditis. I discontinued wearing contact lenses because of extremely dry eyes. I needed drops every 15 minutes. Are there contacts available for me? Also, does this condition exclude me from LASIK surgery? I'm 63. — D.S. A: First and most importantly, LASIK would be a terrible idea. Your dry eye would likely get worse and could become totally debilitating. Thyroid disease is a major cause of dry eye and can lead to severe symptoms and profound problems. We have contact lenses that work much better than earlier designs available today — Alcon's Dailies Total One daily disposable being a good example. But my strong suggestion is that your dry eye be addressed first. Q: How possible is it for one to have difficulty opening the eyes (heaviness of the lid) in the morning as an association with dry eyes? The difficulty sometimes comes with temporarily blurred vision. Recently I had conjunctivitis and used Terramycin for it, is that a possible cause? Or should I seek a neurologist? — S.
A: Swelling and fullness of the lids or even irritation to the cornea caused by improper lid closure while sleeping could make it noticeably more difficult to get your eyes open in the morning. If it feels like you are applying normal or greater force to open and they just will not, possible neurological causes must be considered. However, boggy swollen lids that open normally with some effort are more likely related to dry eye and exposure. In some people abrasion from the pillow can cause significant damage, discomfort and even blurred vision on waking. The resulting sensitivity can make eye opening uncomfortable and slow-feeling. Q: I get really dry eyes when I sleep. It doesn't matter if it is a nap during the day or at night, they get severely dry. I have tried gel drops and ointments, and neither seem to help. Could this be due to a duct or eyelid issue? — J. A: You are describing what sounds like classic exposure. This occurs when the eyelids do not form a tight seal during sleep. This exposes the eye to the drying effects of the air and causes extreme irruption — sometimes waking people up from sleep with sudden pain. It is worse in people who lack a Bell's phenomenon — the normal reflex to roll the eyes up protectively during sleep. Q: I have crust on my eyelids when I wake in the mornings. What is the cause of this condition? And can chronic dry eye ever result in blindness? — G.B. A: Crusting in the morning can have numerous causes. A definitive diagnosis would require a thorough examination by an eye care provider — something I would recommend. Q: My eyes dry up at night when I am sleeping — it's like they run out of lubricants. It doesn't happen during the day. I have tried eye drops, and they don't work. — T.C. A: It sounds like your eyes may not be fully closing during sleep. That's not as uncommon as you may think. I have several suggestions. First, find a viscous gel like Systane gel, or a petroleum-based eye ointment, and apply to your eyes as directed right before sleep. Try the gel first, and if that doesn't help, use the ointment. Also, if possible, humidify the room, and if you have fans, turn them off. If your eyes partially open during the night, a fan blowing on them will worsen dryness significantly. This should help. Q: I have trouble opening my eyelid after a night's sleep. Is this related to a dry eye? — V.
A: Trouble opening the eyes in the morning can have many causes. When we sleep, the eyes are designed to stay shut, to maintain moisture and protect the sensitive and vulnerable cornea. Some people sleep with their eyes partially open, which can lead to irritation and light sensitivity, making it hard to open the eyes to the morning light. Occasionally, excess mucus can partially "glue" the eye shut, which can also happen in the presence of infection. Q: I have chronic dry eyes and use Restasis. I have a stye on my eye every few months. Is the moisture that I'm getting from the Restasis causing me to get these styes? I was using two drops every few days, then started using it twice daily. The stye came after using it twice a day, every day. — B.
Q: I get tiny blisters on the inside of my eyelids all the time. Could it be dry eyes? Would dry eye drops help? — C.
A: I am not completely certain of what you mean by "blisters." Red or gelatinous bumps beneath the upper eyelid are usually signs of allergy or certain types of infection. The bumps you describe are unlikely to be directly caused by dry eye. Q: My question is about the small, clear to whitish bumps that have been in my eyes for more than three years. They are located on the inside of the lower eyelid in the corner. I have three to four bumps in one eye and one to two bumps in the other. These bumps have not changed in size or quantity in at least three years. I have no eye discharge or irritation. An ophthalmologist diagnosed these bumps as allergic conjunctivitis, but that was three years ago and they are still there. I also have smoked marijuana for about seven years, and I have been trying to detox myself for the past two weeks. This is because I'm starting to think that the marijuana use has caused my eyes to be dry, which could be the cause of the bumps. — J. A: First, I would recommend that you have another eye exam, since you noted that it has been more than three years since your last exam. During that visit, your eye doctor would be able to evaluate your eyes and determine what these bumps are. I cannot figure them out without examining your eyes. You bring up smoking, and it is important to note that smoking of any kind has been associated with dry eyes. So, in general, dry eye patients should avoid smoking. I am not aware of any specific studies looking at marijuana use and worsening of dry eyes. But since this is a form of smoking, it is likely that the smoke can irritate the eyes and worsen dry eyes. — Dr. William Trattler. Q: Can chronic dry eye cause a white bump next to the colored part of the eye? — H.
Q: I have a white bump on my upper eyelid near where your upper and lower eyelids meet on the side of the eye closer to the ear. The bump looks similar to a pimple. My eye is very dry and it hurts to blink. Help? — A.G.
Q: Can I use lubricant eye drops at night and in the morning? Or just at night? — J.
Q: Is there a natural alternative to Restasis? I don't like being on Restasis. — R.
Q: I have dry eye — particularly at night when I'm sleeping. I was told to use TheraTears Liquid Gel. I used it one night and woke up drier than I have ever been when using the daytime Systane Ultra or Systane Balance. Is there a prescription product for nighttime dry eye relief? — C.A. Q: Can too many Systane eye drops hurt your eyes? — K.
A: Systane is a very safe product. But like any dry eye product, if you are using it more than six times a day, it may be wise to see if a different formulation may be more effective for you. Q: I have a prescription for Ilotycin 0.5 percent. Can I use a dry eye ointment as well at night, as I have dry eyes? — P.M.
A: Ointments for dry eye are used for very specific purposes, such as exposure caused by the lids not completely closing. I recommend that you check with the doctor who prescribed the Ilotycin for its indicated use. I wonder if he or she didn't intend for you to use it before bed? Q: I find that using either natural tears or lubricant eye drops help my dry eyes initially, but after a few days they make my eyes feel worse. What to do? I will not have plugs put in or use the expensive Restasis. — R.
A: You are asking an impossible-to-answer question. I can't advise you on the best treatment without knowing the cause of your problem. Most eye drops currently available on the shelf either add more moisture or bulk up the tears with unnatural substances like methyl cellulose. While that can offer temporary relief for some, it is rarely an effective long-term strategy. The tears are very complex, and simple wetting agents disrupt their structure and balance. Q: I have dry eyes and use natural-tear eye drops every day, which usually helps. But since the weather has been warm, they seem to be worse, and the eye drops soothe for only a short while. I have to use them more each day. I was wondering if the summer would make my eyes more dry and if there is anything else I could use? — L.I. A: Dry eye usually affects people year-round, but severity can vary over the course of the year. Air conditioning during the warm months can reduce humidity indoors and worsen dry eye. The rapid cycling between higher humidity outdoors and lower humidity indoors can also present a challenge by destabilizing the tears. Finally, greater exposure to allergens during the spring and summer can increase baseline inflammation and worsen dry eye. Q: I have dry eyes 90 percent of the time (mostly my right eye). The specialist told me to just use eye drops like Refresh. They don't work for long. I also get white bumps on the edge of my eyelids sometimes, and I have to scrape them off with my fingernail. My right eye feels like there is always something in my eye. The location of the problem seems to be just right off-center of my upper eyelid. I have to blink a lot, and this makes my eyes hurt sometimes. Plus my nose gets sniffly. My left eye is not as bad as my right. Do I need a better eye drop? — S.
A: From your description it sounds like you have fairly advanced meibomian gland dysfunction. That needs to be treated by an eye care practitioner. Q: I have very bad dry eyes. I used Restasis for three months, but it doesn't work for me. Now I'm using TheraTears. I was better for about 45 days, but now my eyes are bad again. — E.
A: Restasis is effective for some people and not for others. Keep in mind that dry eye often has a number of underlying causes and tends to be progressive. Q: I have been on steroid drops for seven months for dry eye syndrome. My eyes are no better. Is it possible I have been misdiagnosed? — B.L. A: Steroids reduce inflammation and also have a number of potentially serious side effects. For that reason, most clinicians use steroids for only short periods. Q: I've had what I figure are dry eyes for quite a while now. I used Opcon or Naphcon for years, more in association with allergies. But I discontinued use two or three years ago, because use became more frequent, yet I experienced more redness. My eyes always feel somewhat irritated and tired, with moderate redness, and I have always been sensitive to sunlight. Indoors, fluorescent lights in particular also seem to bother me, far more so than incandescent. I blink frequently, but oddly enough, the irritation is at its worst when I'm around people, friends, customers, whoever, but more significantly if I'm talking with someone one-on-one. This particular aspect has become most apparent in probably the past two years. Go figure! It's embarrassing when I am trying to look someone in the eye during our conversation and have to make a hard, squinting blink to ease the irritation in my eyes. The unpleasant sensation seems to be in the lids where they contact the eyeball itself. I've considered trying an OTC remedy but am not really sure which one to try, if that is indeed what I need for this condition. — J.B.
A: I'll start with the Naphcon and Opcon use. It's good that you stopped. Regular use of decongestant eye drops leads to rebound redness and for many people more and more frequent use. Most eye care practitioners advise patients to avoid these drops except for rare use when they must whiten their eyes for a specific event. Regular use is a no-no. Regarding the light sensitivity, it's one way your eyes are telling you there is something wrong on the surface. In a sense it's nature's way of protecting the eye, by making you want to close it. You should have this checked out by an eye care professional. I can only speculate why your problems are worse in the presence of people. There is a portion of the lid that we call the "lid wiper," and it's possible that it is chronically irrupted. Even more likely as a cause is inhibition of blinking while you are conversing with people. The more attention you pay to them or, for that matter, anything that you intensely attend to, the less frequent your blinks become. Blinking serves many purposes. One is to help express the complex oils that your meibomian glands produce. These oils stabilize the tears and improve their surface quality. They also help clear tears and any contaminants that have built up within them. From your description, I would assume you have problems with how you blink — frequency and completeness and probably meibomian gland dysfunction. Q: What is the best brand of OTC eye drops? I have used several expensive ones, and they have not helped much. — F.P. Q: Will over-the-counter eye medication help dry eye? — S.L. A: Today, over-the-counter eye drops are much more sophisticated and advanced than ever. Some can make a huge difference for some patients. Generally, avoid products that contain vasoconstrictors or whitening agents. Among my favorite brands are Alcon's Systane products and Allergan's Refresh Advanced line. Q: What is the best eye drop that I can buy over the counter for red eyes? I'm working in TV production and am surrounded by spotlights. That is why my eyes are dry and turn red. — V.
A: I wish I had a good answer, but it's hard to make a recommendation without knowing the cause of your red eyes. Redness usually occurs as a sign of an underlying problem. Taking a drop to mask the redness will not address the issue. Some over-the-counter drops can actually make redness worse over time. Also, the more often you use many red eye drops, the more often you will need to use them to reduce redness, creating a vicious cycle. Q: I was recently diagnosed with inflammatory dry eyes and was prescribed Restasis. However, my insurance does not cover it. Is there anything else that is going to work as well for me? — S.
A: Currently, Restasis is the only anti-inflammatory product approved for treating dry eye. Other products are in the FDA pipeline, but their timing for approval is uncertain. Q: I get extremely dry eyes during the winter. Sometimes it's from using a computer, but not always. I use Systane eye drops, but they haven't helped a lot. What would you suggest I use? — T.
A: It's not uncommon to have dry eye when heating season begins, as the air inside dries out. Also, computer work decreases blink rate, which can make your symptoms worse. Systane is an excellent line of dry eye products; however, there are several types that target different aspects of dry eye. From your symptoms, my thought is that you may have more of an evaporative form, and Systane Balance would be first choice in that case. Q: If someone has dry eyes, would that cause them to get more infections of the eye than someone who didn't have dry eyes? I'm assuming there is less lacrimal fluid there to clean the eye. What if drops were used? Would that help to lubricate the eye and move around the lacrimal fluid, or would it just dilute the lacrimal fluid and not help? — T.S. A: That is a great question. I suspect that most eye doctors believe that dry eye is associated with a greater risk of infection due to decreased tear volume and ocular surface damage. I do not believe this perspective has ever been supported by rigorous scientific investigation. Normal tears contain a variety of antibacterial agents that are likely reduced in dry eye. How much artificial tears would reduce the relative concentration is unknown compared with the positive impact the drops would have on ocular surface integrity. Q: I've been wearing monthly contact lenses for 10 years now and have had a few eye infections. Recently I've been struggling with dry eyes. Could this be due to using soap to wash my face and clean off eye makeup? — L.W. A: When removing eye makeup, select products that are eye-friendly. Not only are harsh soaps irritating, they can strip the skin around the eyes of essential oils and cause drying and irritation, which can worsen dry eye. Speak to a specialist contact lens fitter about the dryness. There are ways to address your discomfort. Also inquire about these infections. Frequent eye infections are a serious concern. Are you replacing your lenses as directed? You must also replace your case every three months and make sure that you never, ever top off old solution. Pour out used solution and use fresh every day. Q: I have been told I have dry eye, and my eyes water all the time. How can I stop them from watering? — S.
A: This is a very common question and a source of tremendous confusion for many patients. Dry eye usually causes irritation, and the eye responds by trying to wash away the irritant with tears. The excessive tearing actually further destabilizes the tear structure, making matters worse. Q: I have dry eye syndrome. My eyes hurt really bad! I've tried drops of all kinds and use them all day, and I use the warming mask. I get the filaments on my eyes that feel like crushed glass in your eye. I've already seen the ophthalmologist to have them removed sometimes, but what can I do to keep them out of my eyes? They hurt! Bright lights hurt, the sunshine, even wraparound shades. Watch this video where an eye doctor explains dry eye syndrome. My eyes always burn, itch, sting and are red! I don't know what to do anymore. I've even had my lower tear ducts singed — they thought that would help, but no. — V.L. A: It sounds like you have advanced dry eye and a condition called filamentary keratitis, both of which can be very painful. Other than removing them manually, there are a number of other ways filaments can be treated, including anti-inflammatory drops, a specially formulated acetyl-cistine drop and, in some cases, bandage contact lenses. Your dry eye must also be treated effectively. Q: I'm 24 years old and female. I was born with watery eyes — ever since I can remember, my eyes have been tearing, especially when it's cold and windy. It's slightly painful. What causes this? It's irritating, and people ask if I'm crying. I can't use mascara or eyeliner because of it. — S.
A: What you are describing is typical of dry eye, but the early age your symptoms started is quite unusual. Excessive tearing is how the eyes respond to irritation. This can include dust, wind and cold or allergens. Sensitivity can be increased by anatomical and other factors. Q: Are excessive tears, especially in sunlight, a sign of chronic dry eye? — R.
Q: My wife's eyes seem to water excessively. The tears run down her cheeks and often splash her glasses to the point where she has to clean them very often. We have tried allergy medications without success. There seems to be little difference between seasons or surroundings, though most big box stores seem to be a bit worse than other environments. Any suggestions would be appreciated. — T.F. A: As odd as it may seem, excessive tearing is often a sign of dry eye. When the surface of the eye becomes irritated, the eye attempts to compensate by producing more tears. Unfortunately, excessive tearing often makes matters worse, as it destabilizes the normal protective tear structure. I would suggest that your wife try a formulation that helps restore tear balance. Choices include Systane Balance by Alcon or FreshKote by Focus Labs. Both should be available at your local pharmacy. Avoid allergy or eye whitening drops, as these products will often make things worse by irritating the eye's surface. Q: How do you know if you have dry eyes? Almost every day my eyes drip tears. It lasts most of the day, and sometimes there is burning. — J.W. A: What you are describing are classic signs of dry eye. Excessive tears dripping out of the eyes is called epiphora, and it is very common in dry eye patients. It's your tear system trying to correct for the dryness. The burning in the evening is often caused by meibomian gland dysfunction (MGD). Q: I have dry eye syndrome. Why does this make my eyes want to close all the time? — R.
Q: I have red, irritated eyes from delivering mail outside. I deliver in the country, and I think it's the wind, sun and dirt roads. I use over-the-counter drops, but should I be using these every day? — J. A: Frequent exposure to the elements can certainly irritate your eyes. I recommend you get a quality pair of wraparound sunglasses. This will help protect your eyes from the wind as well as UV exposure. You can get a lighter tint if you are concerned about visibility. As far as drops go, your work environment can be relatively extreme. The outer oil layer of the tears provides protection against evaporation and adds stability. I would recommend a lipid-based tear supplement like Systane Balance or Refresh Optive Advanced Formula as your best bets for extra protection. Q: I have dry eye, which has been diagnosed by an eye doctor. How can I get my nice, white eyes back? I have been to three eye doctors, and all the drops they have prescribed have only made my eyes more red. I have tried every over-the-counter "tear drops" and am taking 2g of omega 3s daily and drinking lots of water. — K.K. A: Sorry to hear of your troubles. Ocular redness is a frequent complaint among dry eye patients. It typically represents inflammation, which can be caused by a variety of different things. At the top of my list is meibomian gland dysfunction, which is a disorder of the oil glands in the lids. MGD can be a primary cause or a contributor to dry eye, and it is also associated with overgrowth of staph bacteria on the lids. The staph can produce toxins, which can cause redness. Q: Can you have dry eyes in just one eye? My left eye has two blood vessels that have been red for four months. — P.D. A: Dry eye signs and symptoms can vary somewhat between the eyes. Sometimes the more involved eye can make the less affected one feel comparatively normal. Q: I have just been told I have narrow chambers of the eyes. I have suffered from dry eye for a number of years. Could this have anything to do with the narrow chambers of my eyes? — L.T. A: People use different terms to describe the same thing or similar terms to describe different things. To me, a narrow chamber refers to the space between the front of your iris and the back of your cornea. Having a shallow chamber would be unusual in a normal patient, and it would have nothing to do with your dry eye. Of greater concern is that your eye care provider may have been describing a narrow angle, where the iris and cornea meet at their periphery. That is also where the drainage system for internal fluids exists, and if the angle is sufficiently narrow it could possibly close, which would cause acute glaucoma. Q: My husband has glaucoma, and he is taking prescription eye drops to keep eye pressure down. However, the drops cause him considerable eye irritation and dry eyes. Sometimes, he can't get his eyes open in the morning. Are these eye drops doing more harm than good? — R.R. A: Excellent question. The chronic use of glaucoma eye drops can lead to dry eye. But if you do not treat glaucoma, blindness can develop. Your husband can ask about laser therapy for glaucoma. This technology can help lower typically for about three years. This can give your husband a "break" from the glaucoma eye drops and allow the dry eye to improve. However, eye pressure may not go down enough for him to get off the eye drops. A preservative-free formulation of Timoptic eye drops for glaucoma is available. This version would be less likely to cause ocular irritation. Obviously, your husband would need to speak with his doctor to see whether he could use this type of medication to control eye pressure. A few glaucoma medications with milder preservatives also may make a difference. One is Travatan Z, and another is Alphagan P. Milder preservatives may mean less ocular irritation. Again, your husband should ask his eye doctor about this. Q: I had LASIK surgery about two and a half years ago. I had some dry eye going into the surgery and came out about the same. Over time, the dry eye has become worse. I have used several types of drops (Restasis, etc.) with no relief. I had punctal plugs inserted and still no relief. I am at the point now where I use Refresh and/or Systane Balance throughout the day. Sometimes I'm adding drops more than 50 times per day. My eyes feel dry and burning all of the time. I don't know what to do or how I will go on like this. — M.W. A: Your experience is an example of just how bad and overwhelming severe dry eye can become. I am truly sorry to hear that you are suffering so badly. It is possible that LASIK contributed to your problem, but at this point we can't undo the surgery. Solving your issues and getting you back on track is far more important. To reassure you, I regularly see patients who have severe dry eye like yours, and a systematic approach often produces dramatic results. This may not happen as quickly as you would like it to, but with patience and persistence it will likely happen. Severe symptoms such as you describe are often multifactorial in cause. From your description of symptoms I suspect you have evaporative dry eye due to meibomian gland dysfunction. My clinical intuition also suggests that you have exposure, a condition where your eyes are not closing fully while you are sleeping. This can damage the eye's surface and make your symptoms dramatically worse while you are awake. You also may have a number of other conditions or factors that are contributing to your misery. The most important thing is that you realize at this point you need professional help. There are many new techniques and methods that can help you. Finding someone who is expert in managing severe dry eye is critically important. Q: I had LASIK surgery just over a year ago. It was very successful, if not painful! I had stopped using lenses due to discomfort and decided to take the plunge. I would rub my eyes a lot to produce tears when my lenses dried out; sometimes they would fall out from lack of lubrication. I work in front of a computer for 10 hours a day. I notice that some evenings or in the mornings after a late night my eyes are dry and need drops, as sometimes tears are not produced adequately to stop the dryness, accompanied by slight blurriness. Are these symptoms of chronic dry eye as a result of the surgery? Or is it me being more sensitive to the state of my eyes as a result of my fear of regression? — S.C.
A: LASIK is often associated with dry eye after the surgery, but for most, the condition is temporary and improves within a few months. That doesn't mean that you will not develop dry eye that has little or nothing to do with the surgery. Q: I had LASIK surgery about 10 years ago. I am 60 years old and have also had cataract surgery in one eye. I have severe dry eyes. I am on Restasis twice a day, have tear duct plugs, and use Systane drops several times a day. There are times that all I want to do is close my eyes to get temporary relief. Nothing seems to work. What else can I do? I am miserable! — C.R. A: Sorry to hear about your problem. You are not alone: many people are downright miserable because of dry eye. You have a number of factors that predispose to more severe dry eye. Eye surgery, especially LASIK, can cause or worsen dry eye, as can cataract surgery. Usually this improves over time, but in your case, it sounds like it hasn't. Without actually seeing you and judging only by your description, I suspect you have evaporative dry eye or EDE. It's the reason you close your eyes to get relief. EDE is usually caused by meibomian gland dysfunction. Restasis often will be of little benefit to patients with EDE. Also note that Restasis and punctal plugs do not function synergistically. Q: I had LASIK eye surgery six months ago, and now I have a dryness problem. I am using artificial tear eye drops. Do you think they are harmful to my eyes, and can I use them for a long time? Also I am using a computer for seven to eight hours a day, so how can I protect my eyes from dryness? — H.P. Q: I had PRK laser eye surgery performed six months ago and I've recently noticed my eyes have become increasingly dry. Even with my daily dosage of drops, at least 10 a day in each eye, they are still dry. My eyes are so dry the sclera bunches up by the tear duct when I look from left to right. Silly question, but do I need to be worried? — D.M. A: Dryness is not uncommon after refractive procedures, including PRK. In most cases, the symptoms begin to abate about six months after surgery. For some, a return to normal can take longer, so your symptoms may yet resolve. However, your frequent use of drops and your description of the surface of your eyes suggest a dry eye workup at this point would be wise. Q: Can Losartan (high blood pressure medication) be the cause of my very dry eyes and dry mouth? The label states it causes dizziness, and that can be caused by inner ear dehydration. Doctors are referring people for brain scans because of dizziness, and on the Internet it says they find inner ear dehydration is the cause. — B.K. A: As I am sure you have seen from your Web searches, there are numerous reports of dry eye associated with Losartan as well as other medications that treat hypertension. This is a situation where your primary care and eye care provider need to work together to identify the cause of your dry eye while still addressing your other medical problems. Keep in mind that the combination of dry eye and dry mouth is also typical of Sjogren's syndrome, which can now be tested for more easily with the new SJO test. Q: Medical marijuana is causing my dry eyes. Besides discontinuing marijuana use or using eye drops, what can be done to stop the dry eye symptoms caused by the marijuana? — N.G. A: Thanks for my first question on medical marijuana! I have not heard of dryness associated with marijuana use, but admittedly, my experience is limited. With more states approving its use, it could become a more common and better recognized problem. Q: I have suffered from dry eyes for five years and have lower punctal plugs. My eyes have always been manageable until I started taking certirizine for hayfever a few days ago. My eyes became really dry and refuse to go back to normal, even though I have stopped taking the cetirizine. I take it every year, and it has never caused problems. Can it have long-lasting effects and all of a sudden become a problem? — C.G. A: A common symptom of antihistamines such as cetirizine is a reduction of tears and increased dryness. This generally lasts only as long as you take the medication and then subsides fairly rapidly. In your case, it appears to be persisting longer than expected. Q: My ophthalmologist has determined that I have MGD (meibomian gland dysfunction). She has recommended Lipiflow. In your experience, does it reduce symptoms for most of your patients? — S.R. A: It sounds like your doctor is very dry eye-astute. That's great. Lipiflow is a breakthrough technology for dry eye and is the definitive treatment for MGD. We now recognize MGD as either the primary or a contributing cause of dry eye in nearly 90 percent of patients. A number of tests help establish the diagnosis, including: the LipiView, an interferometer that measures the thickness of necessary oil on the surface of the tears in nanometer increments; meibography, which lets us image the actual meibomian glands; and diagnostic manual expression of the glands, to see how they are actually working. Most clinicians combine these key tests with more standard dry eye testing to refine their therapeutic strategy. Personally, I am a huge advocate of Lipiflow. I practice in Phoenix, one of the driest cities in the world. Lipiflow has become a mainstay of treatment of MGD and dry eye in our office, which focuses specifically on dry eye and ocular surface disorders. Our practice attracts patients from across Arizona and the Southwest, many of whom are desperate dry eye sufferers. We have had excellent success with Lipiflow, and in many cases the reduction in symptoms has been so profound that it has literally changed lives. Like every other therapy, it doesn't work for every patent, but in my experience it is extremely beneficial for the overwhelming majority. I am sure your doctor will discuss pros and cons, but I will recommend that you carefully follow the recommended post-treatment instructions. I've found working with the doctor improves outcomes significantly. Once the glands are open and functional, blinking exercises and appropriate nutritional support can help keep them functioning. Q: At 50 years old, I finally need glasses. Because of the antidepressant Amitriptyline, I have dry eyes. My new glasses work great for a while, but then things get a little blurry until I use some eye drops. Is that normal with dry eyes? — T.
Q: Why do my eyes burn like crazy if I tear up, or if water gets in them in the shower? (Or rain. Moisture in general.) My eyes don't feel dry. They just burn when any other moisture is introduced. — L.M. Q: About two weeks ago I noticed large, red veins on the whites of my eye and was pretty worried. It turns out I have dry eye, based on some common dry eye symptoms. The thing is, ever since I noticed that I had dry eye I noticed an uneven, wacky circle on the border of the iris and the pupil, and I'm wondering if I should go to the eye doctor or if it's just a common thing with dry eye. I am 16 years old. — J.
Q: I'm not sure if this is related to dry eyes, but I'm currently taking Accutane, and I know that this can cause dry eyes, which may be causing the problem. For a long time now I have constantly had around 10 floaters in my eyes almost all day, every day. I also seem to have flashing lights in my eyesight that do not blur my vision. And I have very small circles covering my whole field of vision — they're like tiny specks of light, like stars in the sky. When I close my eyes I can see all the problems with my eyes even more clearly. There's basically lots of lights flashing in my vision, which is extremely annoying. I've been to several opticians, and they all send me back, saying I do not have a problem. My vision is still 100 percent. I am taking three classes that all include computer work, I am also doing lots of homework on the computer, and most days I would say I'm on a computer for around 10 hours a day, which could have something to do with the problem. — L.A.
A: While Accutane is associated with dry eye, most of your symptoms are not. The floaters are likely coming from changes in the vitreous, the gel in the back of the eye. Likewise the flashing lights and little circles or "cells" you describe sound like entoptic phenomena, which are normal and often visible to astute observers. Q: I have a persistent twitch in my right eye. One doctor says it's related to my dry eye, while a second doctor says it is not. Who is correct? I have not read any reports that eye twitching is caused by dry eye. — R.M. Q: Is it normal to see tissues floating (swimming) around your eyes? I must say, it sounds weird, but it can't be seen with the naked eye (I mean, from the outside). I've actually noticed it sometimes while walking or while typing some documents — I'll see some tissue-like patterns swim across my eyes lightly. Is this normal or symptoms of something? — M.
A: As we age, and especially in people who are nearsighted, the jelly-like substance in the back of the eye called the vitreous tends to liquify. Eventually it separates where it is loosely attached to the retina, and patients will sometimes see the debris float across their field of vision. What you are actually seeing are shadows rather than the actual strands of vitreous. Q: I get very embarrassed concerning the crust I always have at the corners of my eyes. I have to keep wiping, and it is making the corners dark. What can I use other than over-the-counter eye drops for dry eyes? — B. A: Although it's difficult to make a definitive diagnosis from a description alone, it sounds like you have angular blepharitis. Treatment requires topical antibiotics or an antibiotic-steroid combination. Q: My friend was diagnosed with dry eye and was told she might have to wash out her eye. What does the doctor mean when he says he will have to wash out her eyes? — D.
A: I recall that my mother had an eyewash cup that she would occasionally use with an over-the-counter product to wash out her eyes. However, that was many, many years ago, and we know much more now than we did back then. I don't know anyone who still recommends this today. The reason is that the tears are very complex, and while we often use products to fortify or supplement them, in most cases nothing is better, more soothing or protective then natural tears. Q: I have suffered from dry eyes for many years and have used various prescribed remedies but still suffer. I'm using Viscotears now, but my eyes are still dry and sore. Could it be the preservative in the products? — V.M. A: Many patients are sensitive to preservatives. With dry eye, the volume of the tears is reduced, and the ability of the tears to dilute preservatives is minimized. Q: My eyes rarely tear. Even on some sad occasions my eyes do not drop a single tear. Is it unusual? — S.
A: Tearing varies among individuals; however, a complete lack of tearing is unusual and may be a sign of a possibly serious health problem, especially if it is of recent onset. Q: Is it possible to have dry eye syndrome in one eye? — C.
Q: I cried a lot last night. I don't cry very often, but when I do my eyes are very swollen and dry the next day, and the dryness lasts all day. What do you recommend? — M.
A: Tears are very complex, and the tears that are made normally are very different than the tears that you make when you cry. I suspect that the "crying tears" are washing away the healthy, protective tears. Q: I've had dry eyes for about three months now. I've been to three doctors and one specialist. Two doctors said it was mild. The specialist said I have tears and to keep doing what I'm doing. Another doctor said it was chronic. I'm using Lotemax and lubricants every two hours. My symptoms of burning are gone, and though my eyes are sore, they are definitely better and manageable now. I've asked all the doctors if I'm going to go blind, and they have all said no. I'm still scared, though — I'm only 22. Should I believe the doctors and stop being fearful? — J. A: You will not go blind from this, but what you are describing is not typical for someone your age. Long-term use of steroids like Lotemax is also not a good idea and can lead to serious eye health issues. Q: It doesn't happen often, but every now and then when I wake up, my left eye is extremely dry and bothersome. I use one of my strong headbands by wearing it "pirate style" (over the eye so that the eyelid cannot open), and within an hour or two, it is fine again. What causes this? Is it some type of syndrome? Thank you for anything you can suggest, Doctor. It's more of a nuisance than anything else, and oh yes, tears can run freely from that dry eye, which really surprises me. I've worn eyeglasses since I was 10 years old (I'm 73 now), and my left eye has always had less strength than the right eye. — M.K. A: I am always amazed at the creativity of patients in solving their own problems. By patching the eye, you are preventing evaporation of the tears and allowing the ocular surface to recover and heal. This is most likely caused by the lids not closing completely, resulting in exposure of the surface of the eye while you are sleeping. Excessive tearing is how your body tries to re-establish balance when the tears aren't effectively protecting the ocular surface. You may also have MGD (meibomian gland dysfunction), which can cause excessive evaporation. Q: I am 74 and have been diagnosed with dry eyes. One eye does not exhibit any symptoms, but the other stays red and burns most of the time. Why the difference? I have been using Restasis for a year but cannot really tell a difference. — H.S. A: Dry eye can affect one eye more than the other. Rarely, the difference can be as dramatic as you describe. Restasis works wonders for some patients, but not at all for others. It can take a few months before it begins to work, but you have been on it long enough to know. It primarily targets inflammation, but there are many other causes of dry eye. Q: I have been diagnosed with dry eyes. I purchased a microwave compress for my dry eyes. After using it, my eyes became quite blurry, and it frightened me. It lasted for several minutes. Is it good to do this home treatment? — B. A: We now recognize that much of dry eye is caused by dysfunction of the meibomian glands, small glands in both upper and lower lids that produce a complex oil with each blink. In many patients these glands become obstructed and do not produce enough of these oils to maintain a stable tear structure or prevent evaporation. From your description it sounds like you or your doctor was trying to address this issue. Application of heat helps melt the thickened oils, and massage helps get the now liquified oils flowing. What you are most likely experiencing is a sudden inrush of oil causing temporary blurring. However, be careful. Recent evidence suggests the combination of heat and vigorous massage of the eyes can damage the collagen structure of the cornea. Also, excessive heat can burn the thin skin surrounding your eyes. Q: I have dry eye and have had it for several years. Now I also seem to be having problems producing oils. I have had swollen oil glands in the past and tried LipiFlow, which helped some. I have been cleaning my lids with mild soap — that has helped a lot. What other steps should I take? It seems apparent that my meibomian glands are tending to stop up. My eyes are driving me nuts. — R.H.
A: Welcome to the club. The overwhelming majority of patients who suffer from dry eye have dysfunction of the meibomian glands. Lipiflow is, in my opinion, currently the best and most effective means we have of treating this condition. As you note, the complex oil produced by these glands in both upper and lower lids are essential to a healthy and stable tear film. I am not sure how long ago you had the LipiFlow treatment, but if it has been more than five or six months you might consider returning for lid debridement. This simple procedure helps the meibomian glands produce oils by clearing any external blockage. Also, blink exercises are important post-treatment. The blink drives emptying of the oils in the glands, and poor or partial blinking can undo the benefits of the treatment. Apps are available to assist with proper blinking. You also should be taking a quality EPA-based fish oil supplement. Continuing warm compresses and gentle massage after treatment may help. And the use of lipid emulation drops like Systane Balance or FreshKote may also help. Q: My doctor told me today that I have tear drops in my eyes. It happens in the latter part of the afternoon. Could you please explain, and tell me what can be done about it? — S.F. A: Your question raises a great point. I truly do not know what your doctor is referring to. Virtually everyone has tears, and I have no idea what he meant by "tear drops." Q: I have had what seems like chronic dry eyes for over a month now. Is that long enough to damage my vision? I don't have any health insurance. I don't know when I'll be able to see an eye doctor for this problem. I'm only 37 years old, and this is really affecting my life right now. — D.
A: Sorry to hear of your problems. Dry eye is typically a slowly progressive problem, but some patients transition from asymptomatic to very symptomatic very quickly. Dry eye can lead to damage of the front surface of the eye and cause reduced vision, but this isn't something that happens suddenly, so I wound not worry about it at this point. I understand your situation, and there are a number of things you can do to treat your dry eye yourself. First, drops that supplement the natural tears. My first choices include Systane Balance and FreshKote. Systane Balance is available over the counter. To get FreshKote, which is not an Rx product, you may have to ask the pharmacist, as it is usually kept "behind the counter." Make sure you are drinking sufficient water. Guidelines for water intake are available on the Internet. Nutritional supplements containing EPA may also be helpful. Q: What under-eye cream do you recommend for eyes that are very dry and sensitive? — S.
A: As long as you don't get any of these creams directly in the eye, I do not believe they will adversely impact your dry eye. A brief Internet search will reveal a number of products designed for sensitive skin, which makes sense given your history. Be especially careful around the eyes, as products designed for skin may be irritating to the eyes, even if formulated for sensitive skin. One other recommendation is that if you have also been diagnosed with blepharitis or meibomian gland dysfunction — which affect the lids — and lid scrubs using detergent pads or baby shampoo have been recommended, this may be removing too much natural oil from the skin around the eyes and can be causing drying and irritation. Q: I really appreciate you taking the time to answer questions like this! Hopefully it's something simple, but it's become quite a bothersome issue for me. For the last year or so, my left eye has been extremely dry. My right eye is fine, but the left eye is to the point where I'm going through more than a half-ounce bottle of lubricating eye drops every couple of days. Not sure if it's a result of the dryness, but I have also noticed a red, raised area on the inner corner of my eye that is starting to budge into my iris. I can send you pictures if you would like when you reply. — A.G.
A: Thank you for the kind words. I really enjoy being here to answer questions and helping out as much as I can. I wish your question was an easy one to answer, but it's not. As you can imagine, it's sometimes very difficult to figure out what's going on with a patient's eye from a written description. And while a picture may be worth a thousand words in some cases, photos in the absence of a physical exam can sometimes be difficult to interpret. In your case, the dryness you're experiencing may be caused by a number of problems. The reddish raised area you describe is of more concern. It may be as simple as irritation caused by dryness, it may be the cause of your discomfort, or it could be something more serious. Q: Can I have dry eye in one eye not the other? And can one eye hurt and be red more than the other? — J. A: Having a problem affect one eye is usually more disruptive than when it occurs equally in both. For many people, dry eye affects both eyes more or less equally; for others, as you describe, it can affect one eye more than the other. For example, asymmetric tear production or increased tear drainage in one eye compared with the other can result in unequal discomfort. Q: How high should the percentage of humidity be in the room when dealing with severe dry eye syndrome? — P.
A: Higher humidity generally translates into less evaporation from the eye's surface. That's why many people have difficulty when moving to arid environments like Arizona, or during the winter when heating systems dry the air. It is also the reason why moisture goggles are prescribed for some patients with severe dry eye. Also, its not just the ambient humidity, but the shock that occurs when transiting between high and low humidity environments — for example, the low humidity air-conditioned indoors and the hot and humid outdoors that occurs in many areas throughout the world during the summer months. Q: I have severe dry eye. I've tried every eye drop and gel and still no relief. I would love to have surgery, but my insurance does not cover eye care unless it is for a medical reason. The insurance carrier said it needs to be put under a certain medical code. — K.M. A: Dry eye is a medical condtion, and most insurance covers examinations and most, but not all, treatments for the disorder. For example, LipiFlow therapy for meibomian gland dysfunction is very helpful for many, but is not yet covered by most plans. Q: Could you tell me if it's safe to use sulphonated castor oil as eye drops? Thanks so much — great website! — J.R.
A: Thanks for the kind words. As a general rule, you should avoid putting anything in your eyes that isn't specifically indicated and approved for that purpose. Non-sterile products can lead to infection or cause other problems. Q: I have chronic dry eyes. I've been to three eye doctors, and nothing has worked. I wear sunglasses all the time to ease my eyes. What do you suggest? — J.H. A: Sorry you are having so much difficulty in having your problems addressed. Without actually seeing a patient it is very difficult to tell what's going on or what has been tried previously and failed. From your note, its obvious that you are very uncomfortable. Q: I have had severe dry eye for several years. I am tired of punctal plugs because they keep falling out. I am thinking of trying increasing my water intake, plus taking omega-3. How much omega-3 per day is required? Also, is fish oil better or is flaxseed oil? I have also been hearing a lot about GLA (gamma linolenic acid). Does it make a difference? If so, how much do I need? — R.O. A: There are many opinions regarding nutritional supplements for dry eye. The general consensus is that they are effective for many patients through a number of mechanisms. Most clinicians recommend omega-3 fish oils, but individual dosing varies. There is good evidence that supplements incorporating GLA are beneficial, and generally I recommend them. Since nutritional products can vary tremendously in quality, I tend to recommend brand-name products. HydroEye by ScienceBased Health is a good example, but it's best to seek your doctor's recommendation. Q: Do omega-3 capsules help provide relief from dry eye pain? Which capsules should I take, and at what dosage? — H.M.
A: Omega-3 supplementation is believed by many to be beneficial for patients suffering from dry eye. It has numerous effects on the ocular surface and the tears. I usually recommend 1000mg a day of a brand-name product, which ensures that the oil is pure and properly prepared. Q: Is it okay to take omega 3 fatty acids if you have a subconjunctival hemorrhage? — M.C. A: That is an excellent question. For many years omega-3 supplements were thought to increase bleeding. While some clinicians still hold to that belief, current thinking is that there is little risk of increased bleeding with these supplements. Q: I have been taking the TruNature brand lutein and zeaxanthin supplement and would like to know if this should help with my dry eye condition. Also, I wonder if the titanium dioxide ingredient in this supplement is dangerous. — E.B. A: Lutein and zeaxanthin are antioxidant carotenoids that are present in fruits and vegetables. Supplementation is thought to promote the health of the central area of vision known as the macula. To my knowledge, zeaxanthin and lutein have little to no effect in ameliorating dry eye signs or symptoms, although I do not believe they would be harmful when taken in recommended amounts. Q: I've been experiencing dry eyes for about three years now. Recently, I discovered a lack of omega-3 fatty acids in my diet to be a possible cause. Taking fish oil capsules seemed to improve my condition greatly for about two weeks, after which my dry eye syndrome returned again. Is it possible dry eyes only temporarily benefit from increased omega-3 consumption, or should I look for another cause? — J.D.V. Q: Greetings from India. Kindly clarify whether dry eye patients can use ortho-K lenses. — S.V. A: Thank you for the excellent question. Technically, dry eye is a contraindication to contact lens wear. However, many dry eye patients are still able to wear contact lenses successfully, provided that their ocular surface is healthy and their dry eye is not severe or has been successfully managed. This is especially true for ortho-K designs that are typically worn overnight. Q: I have very severe dry eyes. I've been tested for Sjogren's syndrome over and over again. I also have osteoarthritis in my back and shoulder, as shown on a bone scan. My ophthalmologist said I have Sjogren's, even though I have had no other symptoms. She also said my tear ducts were not blocked. Artificial tears are not working. I used Restasis for six months or more, and that didn't work. So now I'm wondering what else could be done. I'm looking for another ophthalmologist to get another opinion, as glaucoma runs in my family. I have inflammation in my body from arthritis, though no pain as long as I exercise daily. Could you give me your suggestions, please? — S.G.
A: First, I advise that you be retested for Sjogren's with the new Sjo test, which is more sensitive and definitive than prior testing by biopsy. I suspect it may prove your ophthalmologist correct. Ask your eye doctor about this test. Finding a dry eye-savvy ophthalmologist or optometrist is unfortunately not as easy as it should be. One suggestion is to look for recommendations on the Sjogren's Syndrome Foundation website forums . Q: My husband is paralyzed and ventilator-dependent. He was misdiagnosed with ALS but actually has Lyme disease and was put on a ventilator in error many years ago. That said, his eyes do not blink, but he can close them at night and open them. His eyes get severely dry, as you can imagine. We have tried all the gels, natural eye drops, etc. We tape his eyes closed at night, and he wears goggles that have sponges in the sides that we moisten. After trial and error, we found that the gels were drying on his eyes, because when his eyes are inflamed and irritated it is uncomfortable to move his eyes around. Long story short, after meeting with the eye doctor, with a regimen of cleaning the eye with saline solution, using an eye drop with mineral oil (Systane Balance) and occasionally using Lotemax when red and painful, his eyes have been less irritated. Because of my husband's misdiagnosis and inability to move, his eyes are his major source of communication while rehabilitating. So, while things are better we still need a lot of help. His eyes are not moving well when they are in pain or dry like sandpaper. When his eyes feel great, they move great. He feels that his eyes see clearly. All he can do is watch TV all day, so I'm sure he has eye strain too. My husband internally is healthy, and his brain is working fabulously. He manages to be a happy man, and we are happy to have him here. I am wondering if possibly he is getting eyelid infections, too. He has been on antibiotics for eye infection, and then when the infection is cleared, his eyes seem fabulous: bright-eyed and bushy-tailed. Could he be getting constant infections because eyes don't blink? I need some relief for him. He is such a champ. — D.B. A: I am so sorry to hear about your family's problems. Your story hits home, as my eldest daughter contracted Lyme disease as a child, and we endured a long and arduous series of treatments. Sadly, Lyme is all too frequently misdiagnosed and under-treated. I will try to make my answer as concise as possible. First, please know that you are already doing many of the right things, and I know you have helped your husband tremendously. I suspect that evaporative dry eye is the root of most of his problems. Meibomian glands run radially down both upper and lower lids and function through the action of the blink. They produce complex oils that keep the tears from evaporating, provide lubrication and serve a number of other important functions. In the absence of blinking, the glands can't push these oils out, and they stagnate and become thick, eventually obstructing the glands completely. If not treated, the blockage can lead to atrophy of the glands and ultimately permanent gland loss. The definitive treatment for meibomian gland dysfunction is LipiFlow, a procedure pioneered by TearScience. I might suggest that you look into it. There are other, perhaps somewhat less effective ways of approaching this, including regular gland expression, which can be taught to you by a willing eye care professional. Moisture shields and moisture goggles are also key to his management. EyeEco, a California company specializing in dry eye products, just introduced a silicone shield that I would recommend for nighttime use. It serves as a moisture barrier and also helps prevent mechanical irritation and drying. They also make a moist heat product that sounds similar to what you are already using. Other treatments that may be useful (depending on his condition) include topical Azasite and oral doxycycline. Both are antibiotics but have additional anti-inflammatory properties. They must be prescribed by a doctor, but only if his condition warrants. I also would be inclined to have him take an omega-3 supplement. HydroEye by Science Based Health and Omega Dry Eye Benefits are two excellent products if he has no contraindications to them. Q: I have suffered from a disease called TEN (toxic epidermal necrolysis). It has been about two years since I was released from the hospital, but I am still having a lot of trouble with my eyes. They're very sensitive to the sun and very dry all the time. They said that my eyes can't produce tears because they have been so damaged. It's hard for me to go about a normal day. I have so many problems with my eyes every day. I am past the hope that my eyes will ever be normal again, but I just want them to be better. Is there any way that you can repair my eyes to produce tears again or anything that would at least make them better somehow? Every eye doctor I have seen has never had someone with my problems. — J.M. A: TEN syndrome is thankfully rare, but as you unfortunately know first-hand, extremely damaging to the body. The eyes can be severely affected, with damage to both structure and normal function. There are many therapeutic strategies that might be helpful to you, but a thorough exam would be necessary to better understand what would best help. Since your problems are so severe, scleral contact lenses — sometimes referred to as PROSE (Prosthetic Replacement of the Ocular Surface Ecosystem) are a possibility. These large lenses offer protection and restoration of sight and function. Q: I am getting desperate. I have severely dry eyes (Sjogren's syndrome), and they seem to get worse every day. I have sharp stabbing pains in them. I cannot tolerate wind of any kind and bright lights. I put eye drops into them throughout the day. My doctor did prescribe Restasis for me. It has helped some. But I can no longer read books, paper, etc. Watching too much TV and doing computer work bother a lot as well. What should be my next step to get relief? — K.B. A: Sjogren's syndrome can cause very severe dry eye by attacking the tear-producing lacrimal glands and reducing tear production. This can also cause visual disturbance, as you are experiencing. Often, other factors contribute to the problem, and when addressed, that can help. Q: Is there any permanent cure for dry eyes without using eye drops? I also would like to know the cause and long-term adverse results of dry eyes. Does the condition damage the cornea of the eye? Does it reduce vision? I have tried everything, but I'm not getting any relief. — V.S. A: Dry eye is a chronic condition that requires treatment with various types of drops. Oral omega-3 fatty acids are a nutritional supplement that may be all that is needed for mild dry eye treatment. Otherwise, treatments for dry eye are typically in drop form. So it would be difficult to avoid the use of drops for treating dry eye. Q: I tried Restasis for two years for dry eyes, with no luck. Is tear duct laser surgery a good idea? Is it safe and reversible? — G.G. A: Restasis is a very effective drug for some patients, but it doesn't work for all. Likewise, punctal occlusion can be very helpful, but can also cause myriad problems. If you or your doctor are considering laser or conventional cautery of the puncta (tear drains), it is extremely important to first confirm the effectiveness and benefit of this approach by using temporary occlusion before performing a permanent procedure. Q: I wear contacts and suffer from dry eye. Would I benefit from punctal plugs? Currently I use contact re-wetting drops. At one time I used Restasis. — C.
Q: With a tear duct plug,will the medication Restasis assist in tear production? — L.K. Q: Can tear duct plugs cause extreme sinus dryness? — J.F. Q: I had an eye plug inserted into my left eye for dry eye three months ago, and it has been very successful. We are in the midst of a very bad allergy season, and everything is bothering me. I looked at my eyes in a magnifying mirror, and it looked as if the plug was coming out, so I got a needle and gently poked it down. But the plug disappeared into the tear duct, and now I can't see it. I'm pretty embarrassed about this, but I want to make sure I'll be OK. Will I? — D.
A: Some plugs fit totally inside the canal. Others are designed to be anchored in place but are prevented from slipping all the way in by a dome or crown. From your description, it sounds like you had the latter type. Punctal plugs come in different sizes, and a properly fitted one should stay in place, neither protruding and causing irritation or slipping inside the canal where it cannot be seen. While using a needle near your eye is always a bad idea, it should not have been that easy to push the plug all the way into the punctal opening if it were properly sized. At this point, I strongly suggest that you not manipulate the plug yourself any further and that you return to your doctor so they can take a look and possibly see where it is. It may still be possible to remove it relatively easily, but not if you push it further in. The plug may stay in place quietly and continue to do its job without further problem, but it also may cause a significant inflammatory reaction. If it does, it may have to be removed by irrigation or possibly surgery. Q: I have lower punctal plugs in both my eyes, and my dry eyes have not improved at all. I cannot take fish oil supplements, because I am allergic to them. My eyes are constantly red 24/7 and hurt. Is there anything else you can recommend I do to alleviate my symptoms, especially my red eyes? I was on Restasis for a year before the punctal plugs were inserted, and it didn't seem to help. Should I try Restasis again with the punctal plugs? — L.K. A: Without examining you it is impossible to accurately diagnose your problem; however, based on your symptoms and history, I would suspect meibomian gland dysfunction is either a cause or a contributing factor. The labeling on Restasis clearly states that it will not help patients who have undergone punctal occlusion. I do not think retrying it will help. Q: I had tear duct plugs put in my eyes a few years ago. I suffered a head injury, and somehow it affected my tear production. The plugs helped my right eye, but not my left. This time of year, it being so cold and dry outside, my eye really bothers me. Is there anything else I can do besides using artificial tears to help my eye? — M.
A: Over the past few years our understanding of dry eye and the ocular surface has increased tremendously. There are now many ways to approach dry eye beyond artificial tears and punctal plugs. Q: What is the success rate of comfort plugs for dry eye relief after LASIK eye surgery? — M.
A: By comfort plugs, I assume you are generally referring to punctal plugs used to reduce tear drainage in cases of insufficient tear production or excessive or rapid evaporation. LASIK can reduce tear production in some patients. Although this typically resolves with time, treatment is often necessary, at least initially. Q: I was diagnosed with dry eyes, and it is killing me day by day. I have had the plugs, but they do not help. Seems like nothing helps. What can I do? — M.
A: Dry eye can turn your life upside down. Punctal plugs don't work for everyone, so please don't get frustrated just because they didn't work for you. Since this is a major problem for you, a systematic approach is essential. Starting with a complete health history, you need a thorough workup of your eyes to determine the cause of the dryness. With a targeted approach, most dry eye problems can be eased if not mostly resolved. Q: I have seen the eye doctor several times in the last few months. My eyes are dry every morning, and they are starting to hurt. I see little white circles sometimes at night, right in the center of my field of vision. I also have noticed more than the usual number of floaters. They say it's just dry eyes, but will this ever go away? I didn't have this last year. — P.M.
A: It's hard to tell what's going on, from the information you provided. Dry eye can degrade vision, but should not be associated with visual phenomena like the white circles or the floaters you describe. It seems likely that you have a few problems occurring at the same time that may not all be related. Q: I have an extremely dry eye (right, dominant, astigmatism in left), which seems to have mucus on one spot and which gets very disturbing, because my vision gets blurred. And since my right eye is the dominant one, I am in trouble. What can I do? I put drops in all day long — I have them all over the house. Nothing seems to help. — M.M. A: The eye will often produce excess mucus as a protective mechanism to prolonged irritation. In your case, chronic dry eye would seem the likely culprit. Tear evaporation caused by meibomian gland dysfunction is a likely cause or contributing factor. Q: Is seeing glare normal for a person who has dry eyes? — J.C.
A: Dry eye affects the tear layer, which in turn can cause disturbed vision. Glare is not a common complaint associated with dry eye in my experience, but depending upon the cause of your dry eye, glare may occur. However, it can also be caused by other eye conditions, like cataract, corneal irregularity and scars, and retinal problems. Q: Can dry eye or eyestrain reduce the eyes' power? — M.
Q: I have been suffering mild dry eyes for the past two years. Every six months my lens power keeps increasing. Does it relate to my dry eye problem? I am 21. — K.H. A: While dry eye, and in particular evaporative dry eye (due to meibomian gland dysfunction) can impact quality of vision, it is unlikely to be a significant factor in myopic progression (increasing nearsightedness). How can my watery eyes be dry? What are the best eye drops for dry eyes? What are the best foods for dry eyes? What is chronic dry eye? What medications make my dry eye worse? When is the best time to use artificial tears for dry eyes? Why do I wake up with dry eyes?